Hi Friends! I'm so happy you're here today! 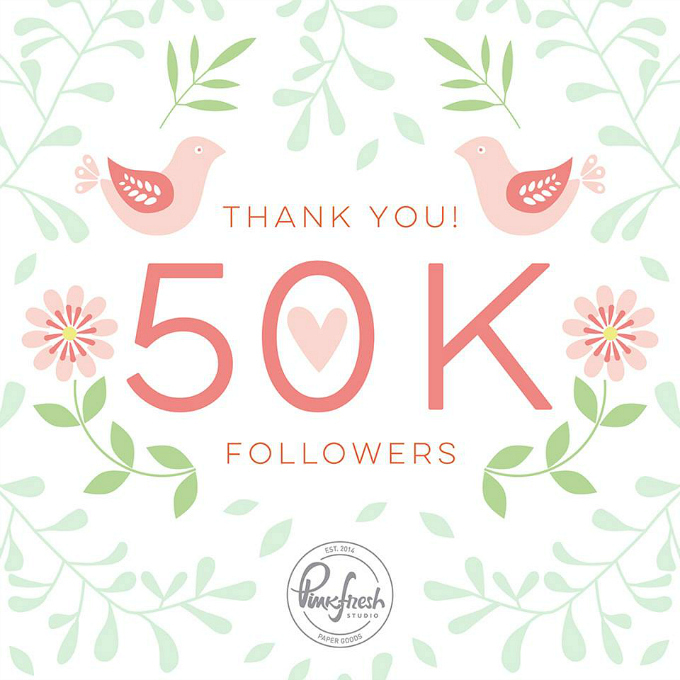 We have a special little hop lined up over on Instagram, celebrating 50 K subscribers to the Pinkfresh Studio Instagram feed! 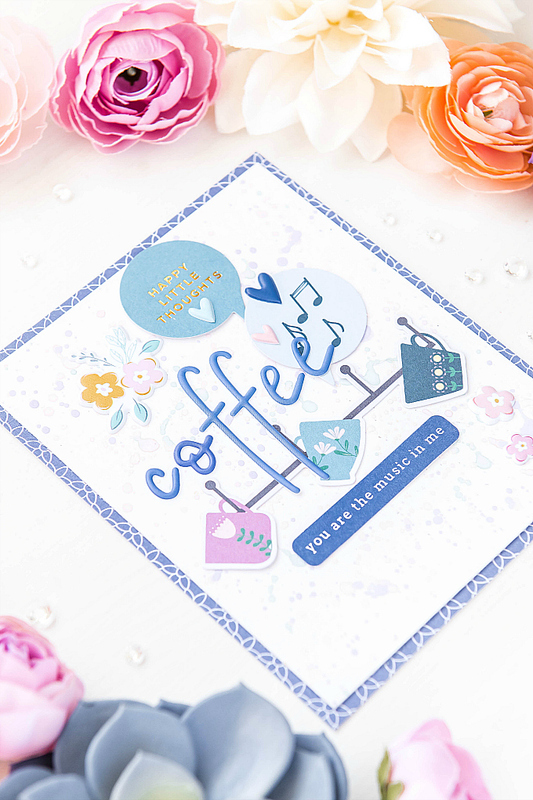 I hope my card today inspires you to grab a cuppa of your favorite bevvy, and join along in some hopping fun! There are also lots of chances to win, which makes the hopping even sweeter! You can find all the details over on my Instagram post. 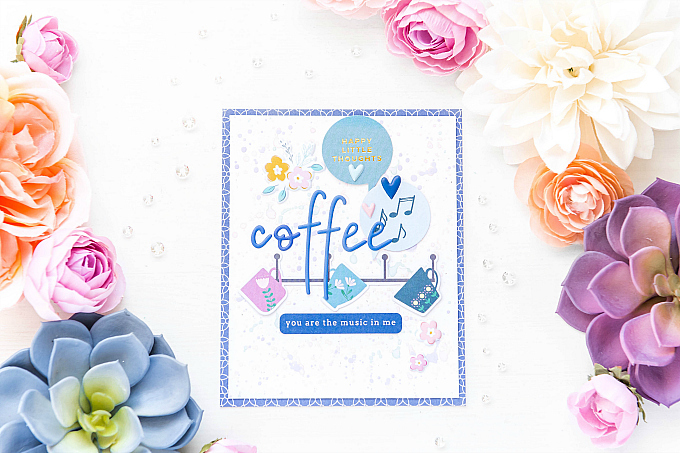 I don't usually make cards with themes, and I'm not sure that I've ever dedicated a card entirely to my favorite beverage. Over the last couple of years, I've had to give up coffee entirely. From time to time, I do now enjoy a cuppa sparingly, and it really brings me so much joy (and a little bit of music to my heart)! 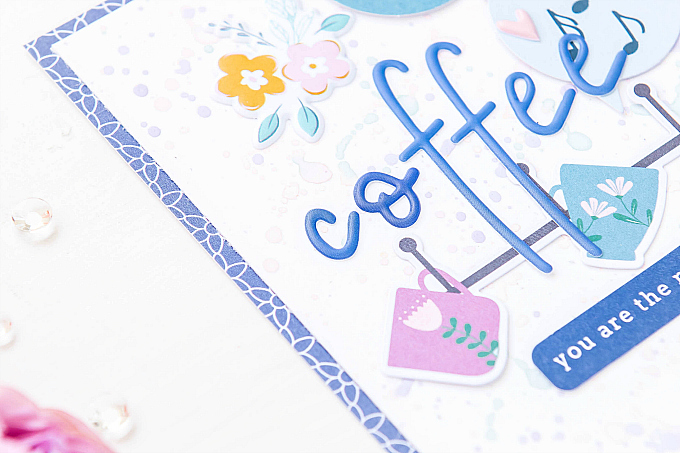 To start my little card today, I used gorgeous papers and embellishments from the Everyday Musings and Joyful Day collections. I backed my paint splatter cardstock base, with a pretty blue print, and then layered on some sweet elements. Puffy stickers, puffy letters, and a heap of pretty ephemera. Aren't these colors just so sweet? 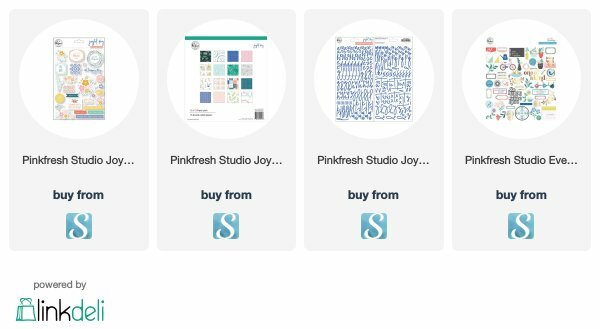 I love these gorgeous little packets of yummy designs! 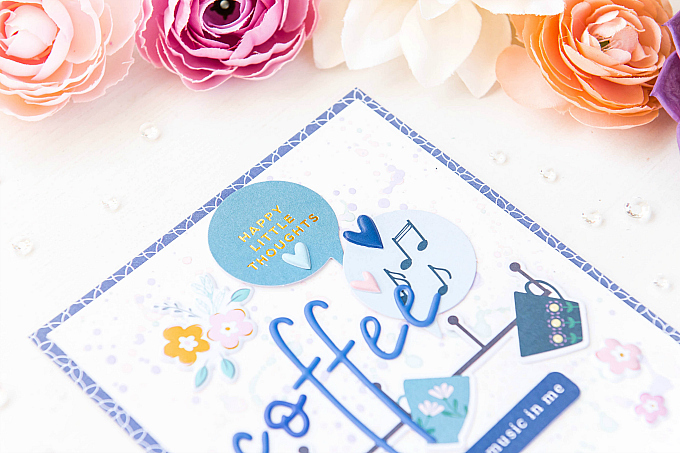 It makes it so easy to whip up a card full of fun details. Thanks for joining me today friends, and don't forget to come and hop along with us! Wonderful colors Ivana, this is lovely! I'm not a coffee drinker, but this would temp me! As always outstanding inspiration project!!!!!! 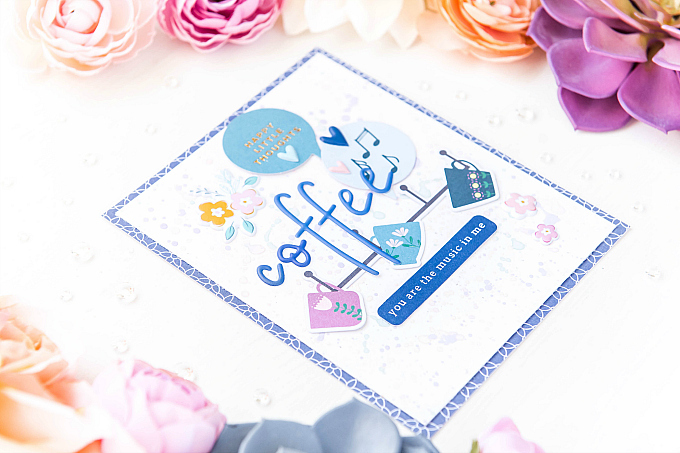 Wonderful themed card design Ivana. Happy Spring to you.